Disclaimer: This post was created in partnership with Aveeno® but all opinions and views are my own. 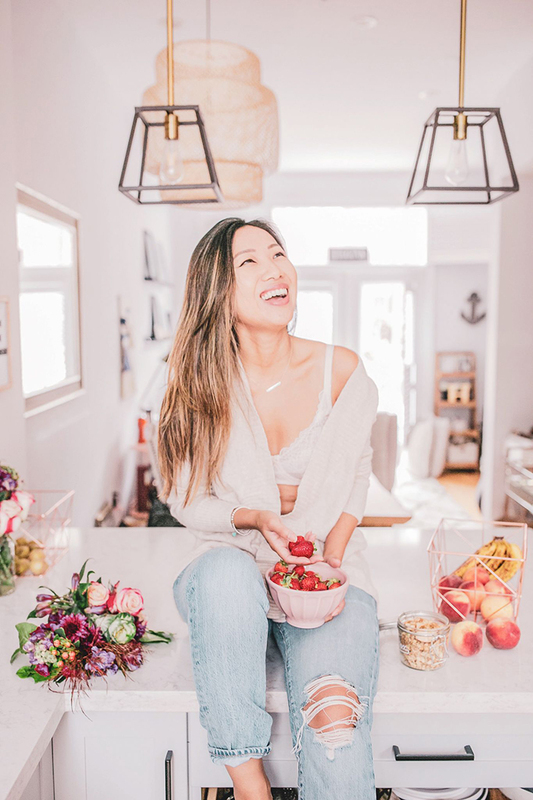 I encourage you to follow along some of my simple suggestions for the perfect Self-Care Sunday! By the end of an exhausting work week, I can physically feel and see that my skin is stressed! 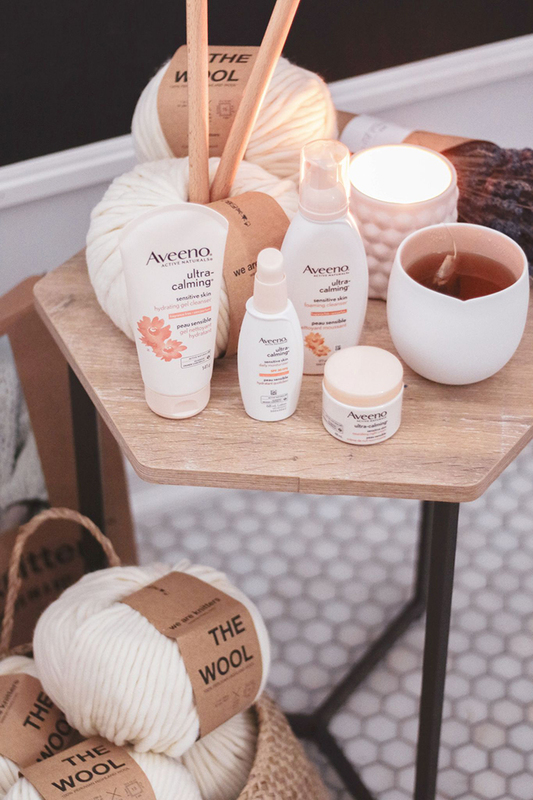 Soaking in a nice hot bath is a great remedy, but I much prefer to set up an in-home facial incorporating gentle skincare products such as the AVEENO® ULTRA-CALMING® line. 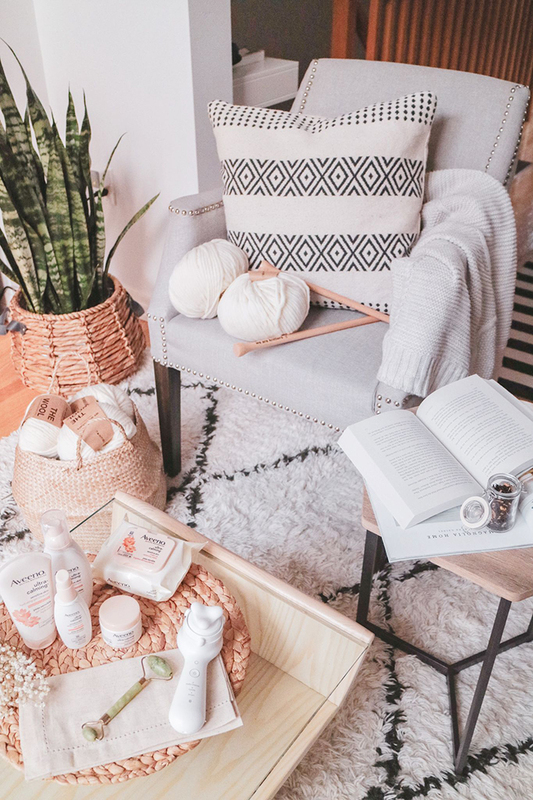 I start by removing all traces of make-up and dirt with the AVEENO® ULTRA-CALMING® Make-up Removing Wipes, formulated with extra soothing ingredients such as feverfew, then proceed to lather up with the AVEENO® ULTRA-CALMING®HYDRATING GEL CLEANSER. This product line is specially developed for dry and sensitive skin and all products are also fragrance free, soap free and hypoallergenic. 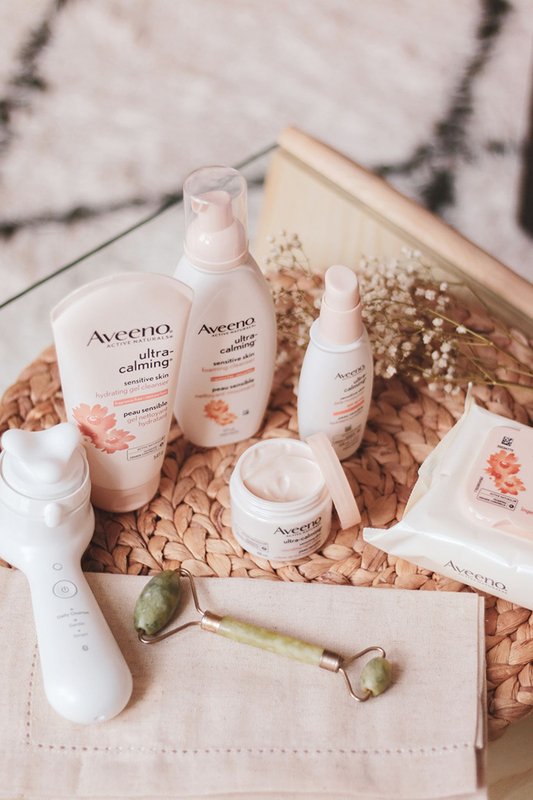 Even though I’m using the AVEENO® ULTRA-CALMING® line as the perfect companion for my self-care Sunday, the products are also gentle enough for everyday use. Next, I like to incorporate a steaming step, this is an in-home facial after all! Steaming the face is detoxifying and allows for pores to open up and maximize the absorption of moisturizers. Now, unlike facial spas, I don’t actually have a face steamer at home, therefore, I achieve the same result by placing my face over a hot sink full of water and placing a towel over the back of my head for about 3 minutes. This is so very relaxing and also great for your skin! 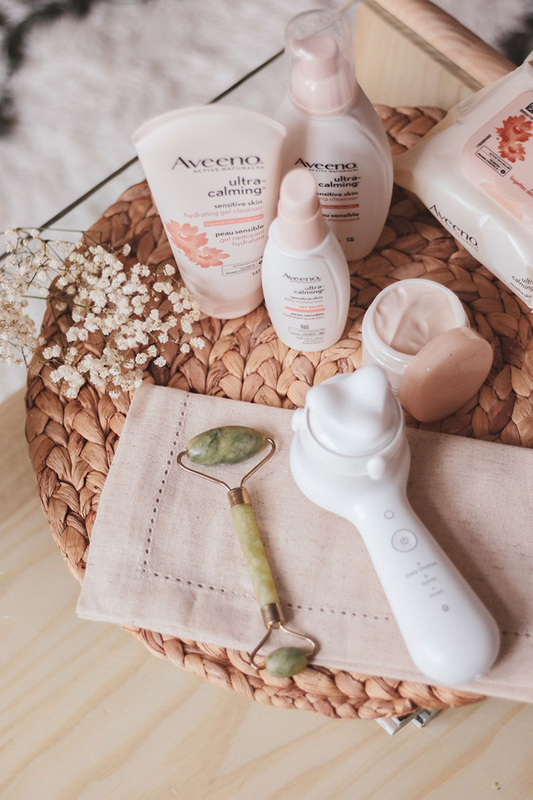 AVEENO® ULTRA-CALMING® Daily Moisturizer Broad Spectrum Mineral SPF 30 for day time use or the AVEENO® UTLRA CALMING®Sensitive Skin Nourishing Night Cream at night time. An electronic cleansing device is a wonderful addition to the in-home facial cleansing step. They can offer additional cleansing benefits and many of them are equipped with massaging heads, which can help transform skin by reducing the appearance of fine lines, minimizing pores, and improving skin texture. As for after cleansing, meet the jade roller. This tiny but mighty beauty tool should be used on a clean face. When used in the morning, the coolness of the jade decreases puffiness and lowers swelling from a perhaps not-so-great night of sleep. And when used at night after application of serums/oils/moisturizers, a jade roller will help skin drink them up before they evaporate. Whether it’s reading a book, baking, or doing yoga, I try my best to set aside time on Sundays to do an activity that is both fun and relaxing. I recently re-discovered knitting and I can’t wait to show you my new creations! 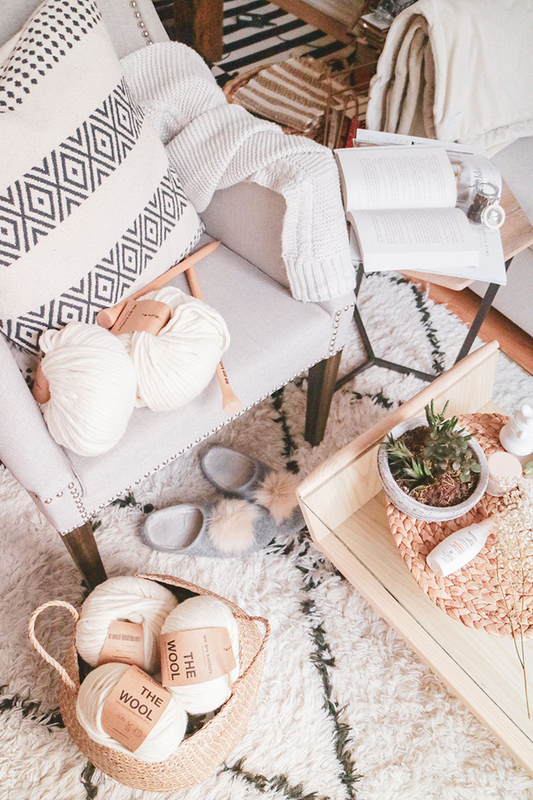 Did you know knitting is highly therapeutic and it’s said to improve memory, cognitive functioning, and dexterity? And plus, there are now so many modern knitting kits out there that offer instructions and the materials required to knit a cute sweater! Still think knitting is only reserved for grannies?! I’d be the first to admit that I definitely don’t get enough of my daily servings of fruits and vegetables during the week. I sometimes don’t even have time to eat! That’s why on Sundays (in fact the whole weekend), I make a big effort to ensure that I reach my daily intake of fruits and vegetables and maybe even make up for what I’ve missed! Now, I’m not always keen on chowing down a handful of fruits or a head of lettuce. I love concocting delicious fruit smoothies or hot pureed soups right with my blender. Blending is really versatile, mess-free and the bonus part is that you can easily double up your fruit and veggie serving! With Sunday just around the corner, do you have plans for a Self-Care Sunday? !